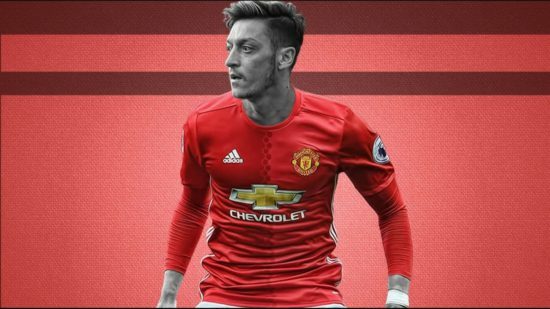 German international Mesut Ozil who has refused to extend his contract at the Emirates has told his teammates he is off to Manchester United be it in the winter transfer window or next summer when his contract expires. Arsene Wenger will be hoping to cash-in on the contract rebel in the January transfer window rather than let him leave on a free next summer after admitting recently the German attacking midfielder could be sold in January. Ozil arguably played his best football under the Special One in Madrid before moving over to the Emirates four years ago, and a reunion might be on the cards with the player heavily linked to a move to the Theatre of Dreams. The former Real Madrid midfielder is rated as one of the best attacking midfielder in the world, but failed to replicate his form at the Bernabeu that saw the Gunners splash a record £42.4 million on his signature in 2013. The German international has come under huge criticism from both the fans and club legends since his move to the Emirates four years ago especially in big games where he has been found wanting and have also endured an indifferent start to the new campaign after been plagued by injuries and has looked disinterested in games he has played so far this season. Arsenal legend Martin Keown believes Ozil has already left Arsenal mentally and admitted the Gunners are well equipped to cope in his absence. A move to the Theatre of Dreams makes perfect sense for both parties as the player will be hoping to recapture his form at Real Madrid under the tutelage of the Special One and will definitely add quality to the Manchester United squad. The 29-year-old is known for his creativity, vision, skill and ability to locate his team-mates with a final pass. He has played six games for the Gunners so far this term scoring zero goals and providing zilch assist.